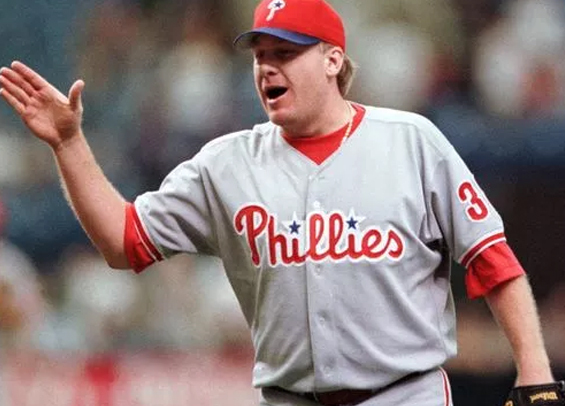 Curt Schilling was a fantastic pitcher and arguably one of baseball's best over the last quarter century, but indications show he'll fall short of receiving the necessary votes for enshrinement this summer in Cooperstown, NY. The Hall of Fame will announce the results of the BBWAA election Wednesday night. Thanks to the Hall of Fame Tracker and the tallying of public votes by Ryan Thibodaux, we already can see Chipper Jones, Jim Thome, and Vladimir Guerrero will all get in. Trevor Hoffman and Edgar Martinez are also possibilities, but it's too close to call whether either has the votes to meet the 75 percent threshold for enshrinement. I'm choosing to ignore Barry Bonds and Roger Clemens, leaving Mike Mussina and Curt Schilling as two focal points and both are deserving of election. I've written about Mussina in the past and strongly believe he's deserving of a spot in Cooperstown, especially now that Jack Morris is in. He pitched his entire career in the rough-and-rowdy AL East and his 83.0 Wins Above Replacement ranks 28th all-time among pitchers, nearly 9 whole points ahead of the average WAR for a Hall of Fame pitcher. As for Schilling, his career 80.7 WAR ranks 26th all-time among pitchers and his postseason numbers are highlighted with an 11-2 mark with a 2.23 ERA and 120 strikeouts against only 25 walks in 133 1/3 innings. He also pitched Philadelphia, Boston, and Arizona all to the World Series and picked up a pair of postseason MVP Awards. The guy was a horse and the one you wanted on the bump in a must-win situation. The only knock I can gather against Schilling is his outspoken demeanor and right-leaning ways. I've seen some voters question his candidacy based on the character clause, but in an era where proven juicers such as Bonds and Clemens are nearly assured eventual enshrinement, it's tough to watch Schilling's name withering below the 75 percent barrier. You can say he's outspoken and point to some major blunders on social media, but he never cheated the game. Political correctness aside, Schilling is deserving of a spot in Cooperstown.